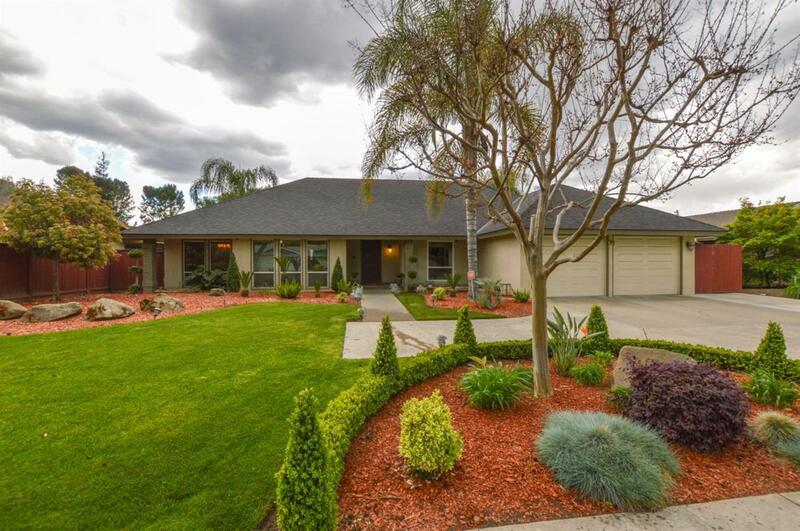 Sophisticated and luxurious home nestled within the Easterbrook Estates. This residence spanning just over 2000 SF and features 4 bedrooms and 1.75 bathrooms. Graced by soaring ceilings and wall to wall glass windows, a single level home, accompanied by an elegant formal dining room, tremendous chef's kitchen with dark oak cabinets, stainless steel appliances, granite counter tops and center island. The expansive living room with a flagstone fireplace , and hardwood floors opens up to a spacious covered patio and gated pool. Sitting on a 10,000 SF lot this house won't last long!